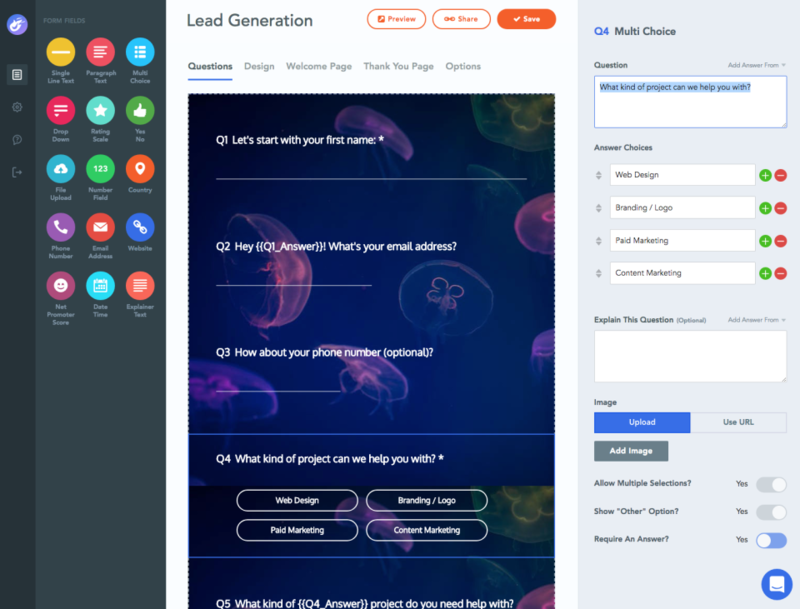 Fieldboom makes it easy to create beautiful online forms and surveys with high completion rates. Gather customer feedback. Capture leads. Create a contact form. Survey event attendees. And much, much more. Once you've captured responses, our Gmail-like interface makes it easy to sort, filter, star, label and comment on them so you stay organized and surface the most valuable data quickly. The internet has been crying out for a product like Fieldboom for a long time! 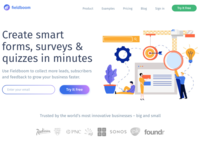 Pros: Beautiful, eye-catching forms for lead generation. 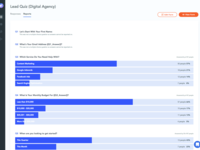 We personally use this for our digital agency to qualify leads and get a better understand of what a potential client would like - It's a simple and very engaging way for us to achieve this. 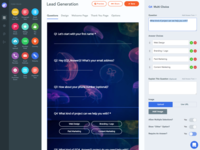 Customisable design is awesome feature and honestly they've thought of pretty much everything you could imagine with regards to creating a high quality lead generation form. Embedding can often be the tricky part, but with Fieldboom it's simple. Cons: For our uses (getting leads to our agency), it works like a charm - there's nothing we haven't liked about it so far. Pros: We end up spending so much on different software products that each have a single use so it's great being able to consolidate into one product that does many things. The integrations with other software are also fantastic and remove the fragmentation by having everything talk to each other. It's one of those products that's simple by default, but deep by choice. Cons: Nothing at this time. Glad to see the software is continually being updated. We use the product weekly and can't suggest any further improvements. Overall: Primary benefit was the consolidation of a number of different products into one suite at a low price point. Create surveys that look and feel amazing ! Pros: - Can fully customise the look and feel, looks so good! Cons: No cons, I just wished I had discovered this earlier! I'm looking forward to all the additional features that are coming next. Overall: We saved a fair bit of dollars because Fieldboom replaced several other tools that we were paying for. 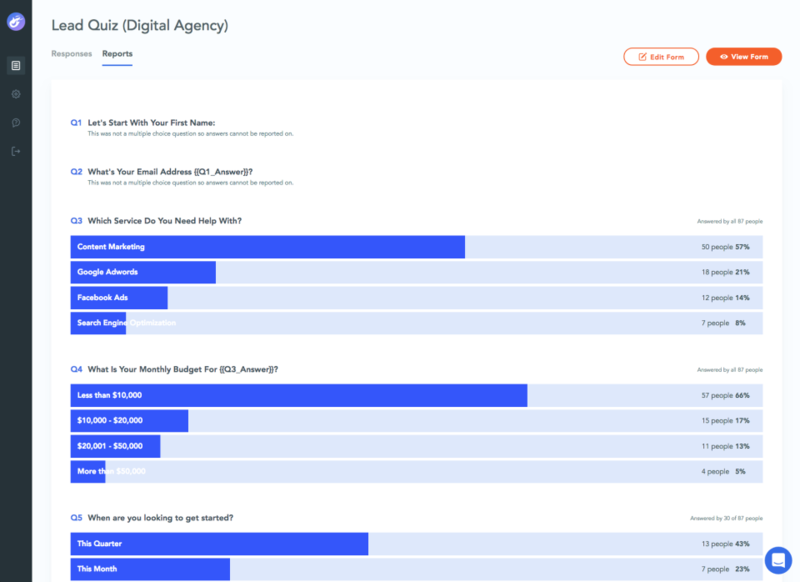 A massive step up compared to survey monkey/google forms. 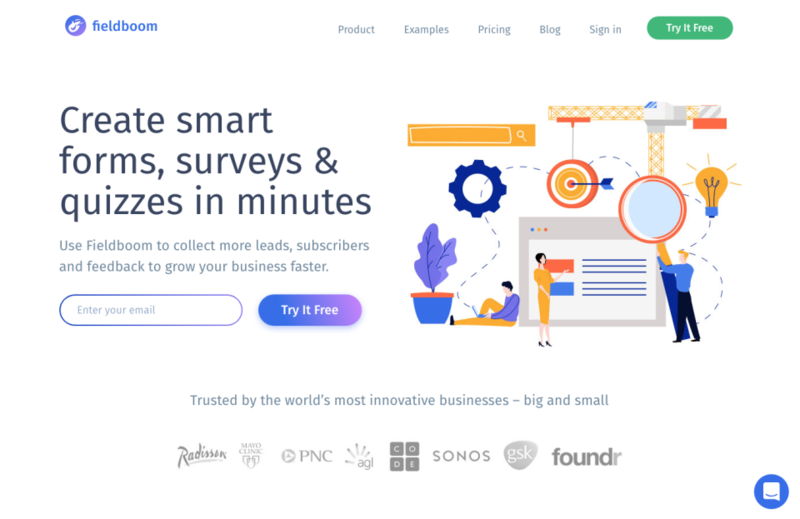 Pros: Have been using Fieldboom for 10 months to capture and qualify new leads for my consulting and online training businesses, as well as to build my email list. Love the integration with Zapier, the ability to show a form when someone leaves my site and the fast live chat support. Cons: Not sure, nothing is coming to mind right now. Maybe adding more templates could be a good thing, although there are a few dozens in the app right now. We use Fieldboom to survey thousands of our email subscribers about which courses we should create. 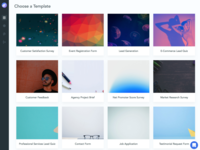 Pros: The fact that you can completely customize every aspect of the design as well as the flexibility about how and where you can embed or show your forms is a big plus for us. Cons: It seems Fieldboom's focus is simplicity, so compared to more mature competitors they are quite light on features in certain areas but I'm sure that's by design. Pros: Skip logic feature, piping and scoring are my favorites so far, but mostly I like that it has almost no learning curve, you can start using it right away with no previous knowledge of how forms work. Cons: The product is still relatively new and some features are not yet developed but I am confident they will appear soon. Pros: It's simple to work with but forget it if you want to cancel. My preference is Microsoft Forms. Cons: You can only see one question at a time. Overall: Initially, the experience was good and everything was easy to set up. We decided to switch to Microsoft forms because it was included in our Office 365 package and it pretty much did the same job and it has really nice visuals for reporting. I tried to cancel my subscription but after reaching out to 4 different reps on chat several times, there was ZERO response from them. I consider myself a tech savvy person and could not find where to cancel the subscription anywhere on the login site. This has already wasted a good chunk of my day and I'm simply going to dispute the charge with my CC company instead and they can deal with it that way. Good product, great onboarding but god aweful offboarding and I'd never go back or recommend this product to anyone. Cons: The product is still early so not all of the features are there yet, but they keep adding more all the time. Using Fieldboom has made it easier to customise our feedback form we send to patients. 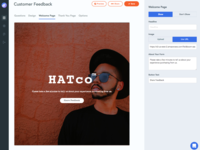 Pros: Easy to use, customisable forms that make getting patient feedback easier, and allow us to do more targeted marketing. Cons: The ability to customise where response emails are sent (for each form) would be a great feature to add. Cons: - I can't cancel my subscription! I've emailed them multiple times and haven't heard back. This is a Scam don't use their service. They also went out of business and stopped working in November without even emailing us, costing us millions in lost advertising money (form didn't work). Overall: Don't use this service it's a scam. Cons: Not applicable, very happy with the product & features of the product. Nothing comes to mind that are disliked. Top product. 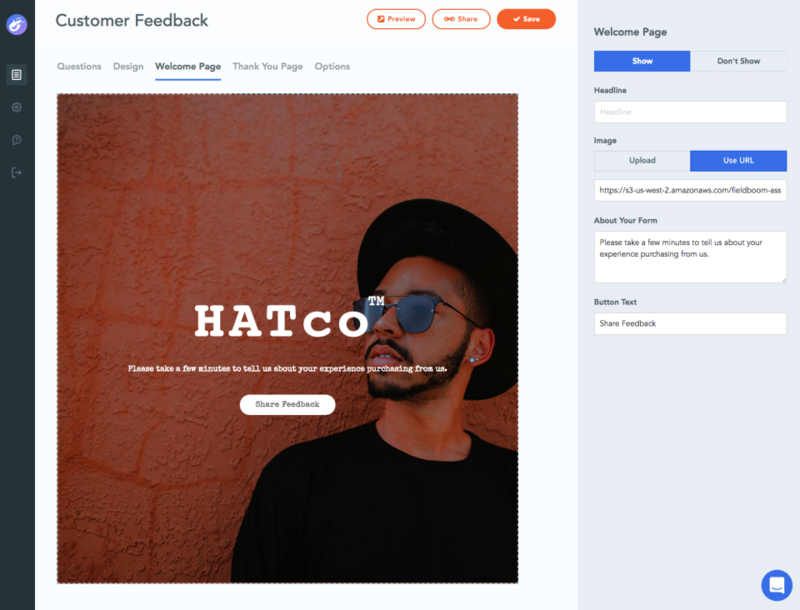 Really enjoyed working with FieldBoom and found creating feedback forms super easy. Pros: Very easy to use even if you are not technical. Good information on their blog with ideas and training. Really good and helpful support. Cons: There a still just a few bugs in terms of how the forms look on different devices, especially on mobiles. Overall: Getting lots of really good feedback from customers. Overall very easy to use, loved the UI design and the support staff were very responsive. Pros: Easy to use product/design. Exactly what we need. Pros: The simplicity of using the software, I am not that tech savvy but it makes it so easy. Moreover the product it produces. Cons: No real cons about the software it allows me to use a variety of different software and incorporate it into one.